Glen Wyvis Distillery visit by Liz and Paul. 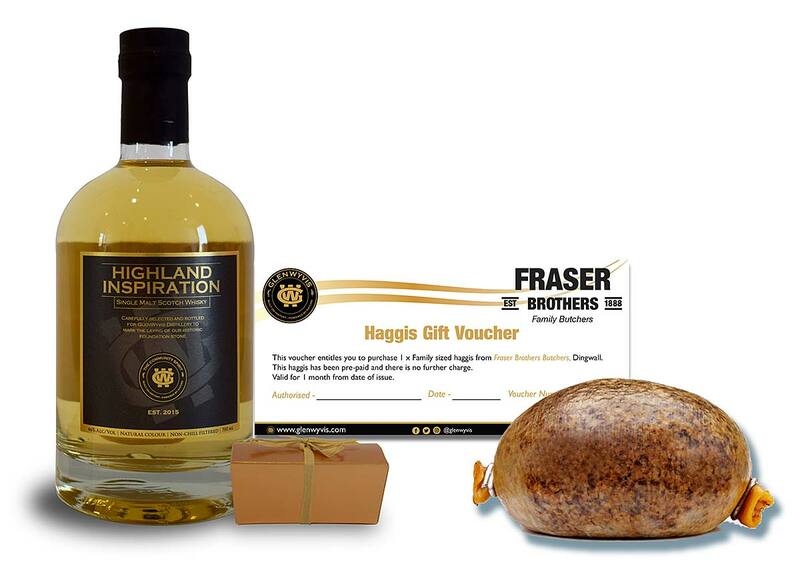 Burns Day, 25 January 2018 when we visited the new distillery. 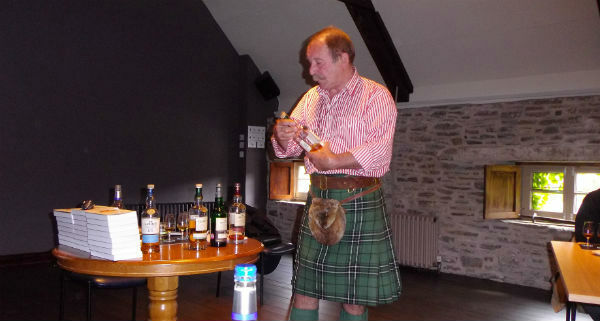 Michael Fraser, met us in Dingwall in the eco friendly electric car and drove into the hills to the distillery. A distillery like no other we have been to – from a green field site to a working whisky distillery in just ten months – complete with rare breed sheep (Valais Blacknose), cattle, alpacas, this has to be the most unusual distillery we have been to. Glen Wyvis – not fully open for visitors as of yet – Michael (Marketing & Tourism Strategy Officer) took us around the whole site. A crowdfunding operation with a difference, so much in their whole strategy is community based, from wind turbine, electric car and bus, profit sharing in the community, so refreshing. 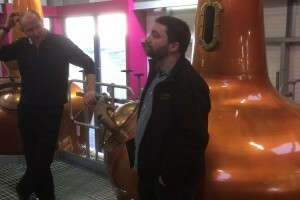 Chatting to the main man (he makes the spirit) Duncan Tait, with over 27 years in the whisky industry (he knows everyone, including many of our friends and contacts), he is aiming at 55,000 litres of spirit annually, from the wee stills “Glen” and “Wyvis” (come on guys!). They have no plans to hurry any bottling, maybe a 3 yo to share holders, the barley is very local (unpeated Concerto) and water too. 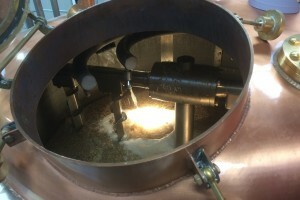 It so happened that we sniffed the mash from the very first batch, we felt privileged. Of course Forsyths helped over in Rothes. Rather than go into technical details, can we state, we had a great couple of hours, loved every minute of it, away with a wee bottle of gin each. Last year 2600 people invested in GlenWyvis Distillery Community Benefit Society – to create the world’s first 100% community owned distillery. Investment will support the regeneration of Dingwall, creating jobs and opportunities for young people, as future profits will be re-invested back into the community to support worthwhile projects. WHY NOT become a distillery part-owner yourself? The Open Share Offer is an opportunity to support the continued development of GlenWyvis Distillery and the local community of Dingwall. The project was initiated by John McKenzie in 2015 with the support of other key people in the wider community who gained funding for feasibility studies to find the most suitable site for a community-owned distillery in the Dingwall area. These studies resulted in a site being secured on a 175 year lease (for one pound), with planning permission given for a craft distillery and all environmental and distilling licenses in place.